We all want to be understood. That doesn’t necessarily mean we agree on every topic, let alone very many at all. To be understood is to be listened to, our ideas taken seriously, and noticed on a level that’s beyond skin deep. You can literally see a person, but it’s not until you take the time to see into them that you can adequately know them. And that is why Life, Animated is such a thoughtful, dynamic, vital viewing experience. With a heart awash in the adaptive nature of true love and a head using open eyes and ears to make sense of that which we do not understand, the film fosters a transcendent sense of communication. I loved every second of this uniquely brave journey of growing up. 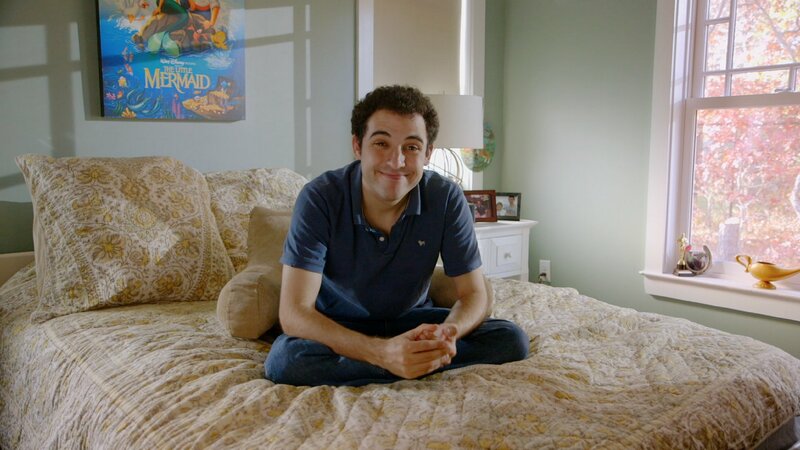 Owen Suskind may have been born to a typical nuclear family making home in Cape Cod, but for the overwhelming majority of his life he’s made sense of the surrounding world by way of Disney films. Diagnosed with autism after the age of 3, Owen – now an early 20’s man – disappeared into his own head. Speech turned to blabber, the once bubbly boy rendered socially inept. His parents told by doctors to accept that the youngest of their two sons would never be the same again. In these moments Life, Animated can be utterly heartbreaking. But the Suskinds were determined, using trial and error, eventually bringing their psychological investigation to a breakthrough discovery: Owen memorized the entire Disney animated collection. Through these characters and these lines, pulling bits and pieces from the expansive and expressive vault, discourse could be had. A family could finally talk. A documentary like this one – whose entire existence is predicated on parceling out different emotions – can only work within a steady structure. 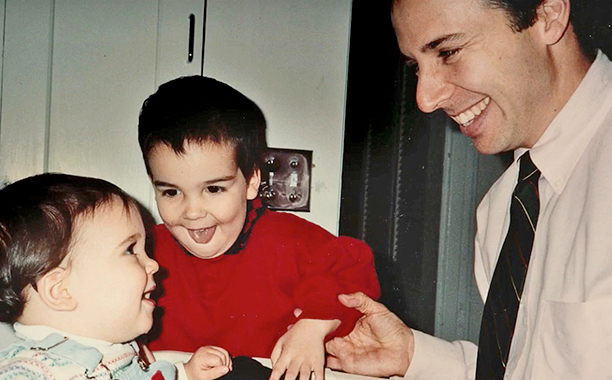 Old VHS footage previews the Suskind’s sense of “normalcy” before introducing their child’s transforming state over the 90 minutes. Additionally, a particular creative decision left me speechless. 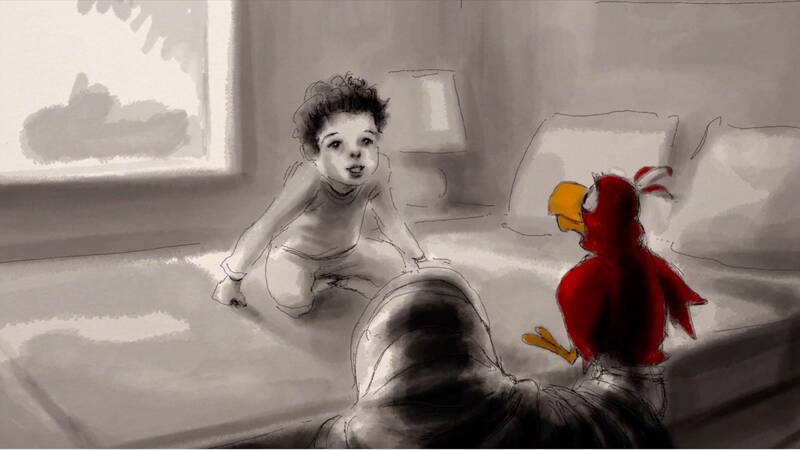 We’re given animations of Owen as a toddler, black and white sketches thinly drawn. Post-breakthrough there is more detail, movement, color. Then finally, upon finding out Owen has been writing a short story starring himself as the “Keeper of the Sidekicks,” the drawing becomes equal to that of an actual movie. 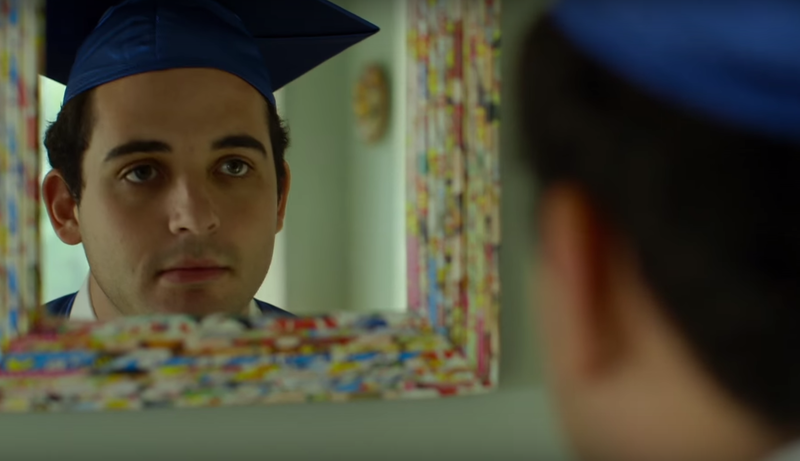 Owen may identify as a sidekick, but as shown in the vibrantly beautiful clip he proves to be a hero. The rest of Life, Animated backs up this distinction with effortless elegance and decency. It couldn’t care less about the opinions of pessimists. As the young man would say, “independent means great and fabulous!” Such passion for life breathes itself into your soul. The amount of access Roger Ross Williams had to make this film is pretty unbelievable, plus since he’s adapting the book of the same name by Ron Suskind – a successful journalist in his own right – there’s always a binding trust present. 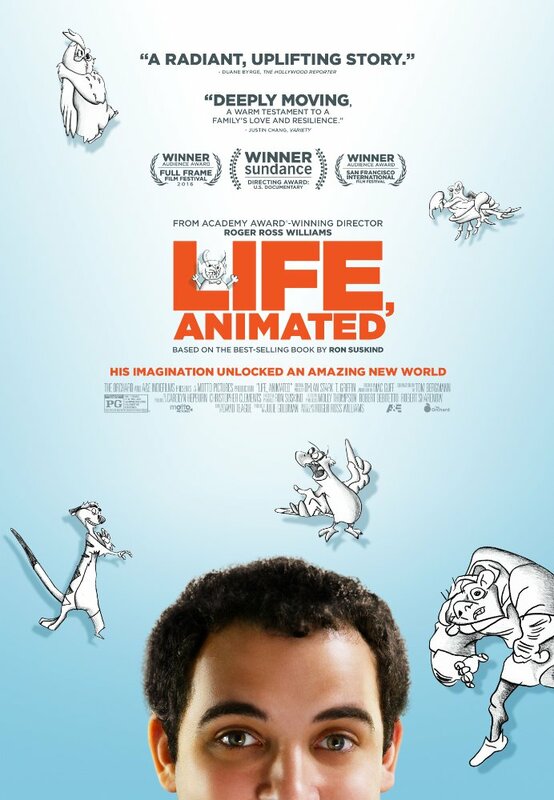 Life, Animated isn’t meant to drive up the sales of Disney, although they graciously allowed bundles of footage into the movie. It’s not meant to be an all-encompassing solution to autism either. Human beings vary too much for that to be the case. Rather, I’d argue that the film’s purpose is to conjure hope for those desperately in need of the faintest glimmer of possibility. Existing is a difficult thing to do. We all have challenges, roadblocks, lows. You do whatever works to overcome them and find the peak on the other side. Which, in Owen’s case, is as cinematic as it is rapturous. We witness his parents struggle to let go, seeing them look off into the distance, imagining a future where they’re no longer there for their son. It’s a tough pill to swallow. On the flip side, you have Owen’s older brother Walt, himself burdened by the fact he’ll have to prioritize the rest of his life around his brother. It’s a weight the man welcomes to hold while treading deep, somewhat unknown waters. The familial bond is as important here as the powerful artistry of movies. I personally can attest to Owen’s own attachment to his collection, unable to look away from the screen because of the fondness for storytelling, but even more so to feel comfort. Within an ever-changing world, your favorite movies remain a constant, an irrepressible affinity for the things we can depend upon to be the same. Life, Animated conveys such rigidness alongside the acceptance of a boundless, open-armed embrace for an uncertain future. Not only does this rank with 2016’s best documentaries, but is also one of the year’s most uplifting, compassionate, empathetic films. See it as soon as you can.